Although they may look better, big wheels and low-profile tyres are not always the best option for drivers. Complaints are on the rise about the harsh ride and tyre noise in cars. Run-flat tyres on prestige models used to be the main source of grief because of the rock-hard sidewalls needed to keep them rolling without air — but now low-profile tyres are shaping up as culprits. A Mazda3 SP25 owner emailed about ride and roar. His car has 45-series tyres on 18-inch rims, unlike the 60-series rubber and 16-inchers on the lower-spec Maxx and Neo. What that means is the sidewall is shorter and stiffer, with less “give” on small bumps and potholes, and the tyre is more inclined to transmit road noise into the body. For him, that’s a lose-lose. He is now looking at a potentially costly switch to the smaller wheels and taller tyres, although he should have no trouble finding a buyer. And that’s the problem. The designers and marketers have suckered too many people into buying big wheels, claiming they look better and give more grip in corners. That’s not the full story. 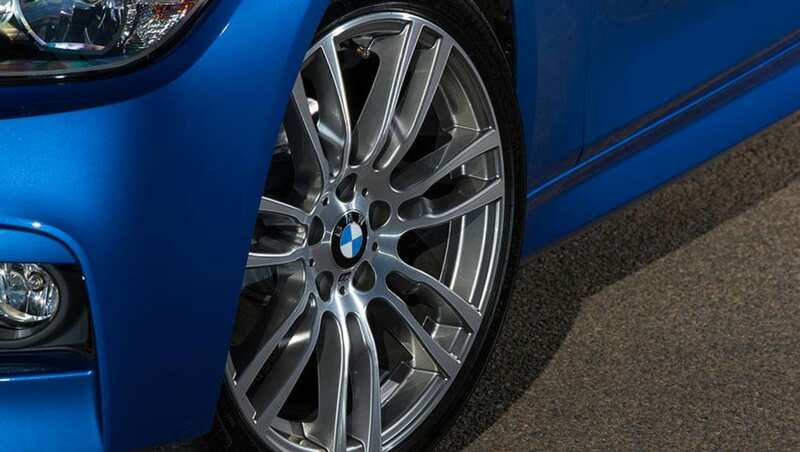 A lower-profile tyre can improve a car’s handling but not on the roads where most of us drive. They need a smooth, consistent surface and that’s rare on country roads. On the styling front, there is all this talk about “filling out the guards” with big wheels and low-profile tyres. Whether standard fitment or oversized, the circumference is usually the same, to maintain the car’s gearing and the accuracy of the speedometer. So the look is more about the width of the rim. Designers save their best work for the bigger rims, deliberately making any basic alloy look like it belongs on a poverty-pack car. So bigger is often not better. When you’re shopping, ask questions about what the more expensive wheels really mean to your driving enjoyment. Do you prefer the look of big wheels and low profile tyres? Let us know in the comments below.